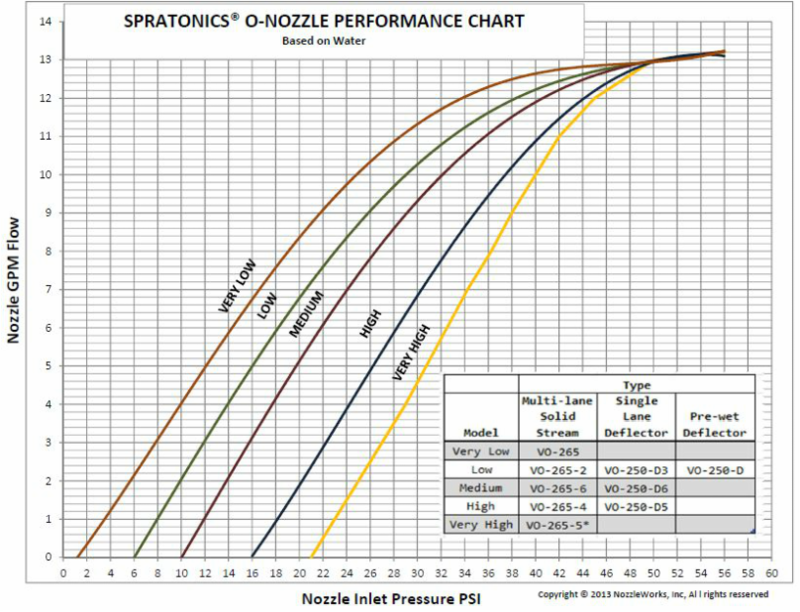 Pressure range is moderate due to variable orifice automatic change nozzles. Would you believe a car can drive 12’ behind an Anti-Icer/De-Icer truck spraying at speeds of up to 60 mph and have not a drop hit the windshield? Not even hit the front bumper? This seemingly impossible feat of minimally disrupting traffic is readily achieved with wintertime maintenance trucks equipped with Spratronics Variable Orifice O-Nozzles and installed per company instructions.